SuccessFactors Consultant plays a significant role in getting the functionalities of SuccessFactors implemented as per customer requirements. I wanted to list down some of the valuable points considering my experience as SF consultant and understanding the customer pain points during the implementation. A greater SF consultant should always have hands-on experience with a penchant for continuous learning towards best solutions that prove his capability and contribution to the project success. Statement of Work (SOW): Every consultant must adhere to signed SOW and deliver the project making sure that client happily accepts the deliverables in all respect and recognizes the consultant’s contribution towards the success of the project. SOW is an authorized document which can be referred during the implementation. SOW defines the current platform, In scope and Out of scope requirements, Timelines, Deliverables, Resource Matrix for both Implementation team (Consultant) and Business Team (Customer), etc. By referring to SOW, the consultant can politely say “NO” to clients when an out of scope item is requested/demanded. This makes the consultant concentrate more on a defined scope of requirements and avoid any deviation to non-listed or out of scope requirements. Project Kick-Off: This is more for a project manager to take up with the customer for a brainstorming session, on how to go-ahead and agree upon Methodology, Plan of Activities, Risk Analysis & Mitigation Plan, Process and its approach for implementation. SuccessFactors Activate Methodology has a unique process which ensures successful implementation of high-end processes and more user-friendly HR functionalities. An SF Consultant must always follow the activate methodology and propose the best solution considering customer requirement. As a consultant, you should do more research on getting to know more about customer operations, planned integration with current legacy systems. As I mentioned earlier, standard implementation methodology guides consultant with defined steps, phases and activities for the success of the project. Here is the screenshot of standard Activate Methodology. Solution Design: This phase starts with the scope validation, review and project team enablement. We call it a workshop where customers’ business users and consultant go through the scope, deep dive into current pain points and provide the best solution. The consultant should also prepare standard questionnaires for each module with a detailed presentation on the client HR business process. Please redeem standard workbooks from SuccessFactors portal to Client Workbooks as per scope mentioned in SOW. I always suggest that it is not wise to take heavy customized solution approach, instead consider a solution which is user-friendly for the client to get it implemented. 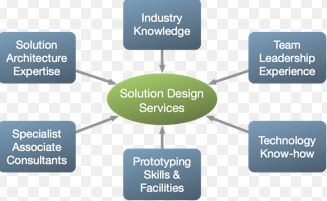 A Consultant conducting workshop must provide expertise in solution design services. SF consultant takes down all the key requirements in depth during workshop using configuration workbook and gets proper sign-off from the customer. It enables the consultant to calculate the volume of configuration and customization involved. Conversation with Client – The consultant should always communicate with the customer in business language. This makes them understand the points raised and can provide their views and comments correctly. I have experienced some of our consultant’s talk more in the technical language like “Object Definitions, Picklists, Data Models, MDF Objects, etc.”. Customer may get irritated with such discussions if he/she does not understand the points you want to discuss. Meet Client’s expectations – A consultant should always maintain reliability, accountability, and responsibility to gauge his/her work and set expectations on deliverables. You should always maintain your activity log, set hard and fair deadlines for each task and prioritize as per requirement. Risk Management – A consultant should always prompt customer well in advance if he/she foresees any risk. This reassures the customer that the consultant is diligent and competent and there are no surprises for the customer at last moment. Configuration – Configuration is another key factor for a consultant. A consultant should always have proper documentation, plan of activities, timeline and signed-off configuration workbook. A consultant should configure preview instance and complete his unit testing. Once, it is completed and tested in all respect, he/she will move the configuration to test instance, if the customer maintains three instances in their architecture (Preview, Test, and production). A consultant must conduct playback sessions with customers as per methodology and make sure that the configuration is in line with signed off workbook. We can expect some changes in multiple scenarios where consultant need to play a lead role and make the customer understand the limitations and alternative solution wherever there are limitations.